When it comes to the profitability of your rental business, there is one situation where a rental application is far more important than a lease agreement. Even the strongest lease language may not help reduce income loss if the tenant leaves early. It is highly unlikely that a landlord will be able to collect the remaining rent due on the tenancy agreement if the tenant leaves early. Landlords have a duty to minimize losses, so a landlord must act quickly to fill any vacancy, even an unexpected one. Despite any wording in the tenancy agreement to the contrary, the exiting tenant only will be liable for rent until a new tenant is found. The tenant also is on the hook for any damage he or she may have caused, and for any reasonable costs of acquiring a new tenant. However, the landlord will need to take legal action, offer evidence to prove these losses, and then attempt to collect against the former tenant. That could take months — or longer. It can be difficult to prove the landlord’s actual losses in the event a tenant leaves early, like in cases where the vacancy is advertised for free online and a new tenant is located quickly. This problem is more pronounced when the landlord attempts to raise the rent between tenants. In that situation, it may be hard to prove that any resulting delay in filling the vacancy is the fault of the exiting tenant. 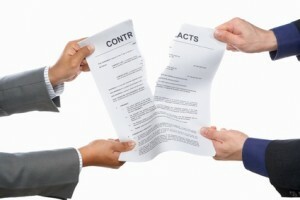 Early termination fees or liquidated damages — an agreed-upon amount to be paid for breaking the lease — may be expressly prohibited by local tenancy laws. To the extent that liquidated damages are allowed, the amount must be closely associated with actual out-of-pocket losses that the landlord suffers, rather than based upon the perceived value of the lease agreement. In a good rental market, it is entirely possible that the tenant can break the lease and wind up owing nothing to the landlord. Verify the information in the rental application, including identity, previous addresses, employment, banking details, and references, because that information will become crucial when pursuing collection. While tenants who leave early may be liable to pay for some losses, like rent until the unit is filled, costs of advertising and showing the unit including tenant screening, and damage to the unit, these items must be proven if the landlord wants to collect. To do that, it is necessary to make a record of those charges. Estimates will not suffice. To collect rent owed under the tenancy agreement, it is crucial to show best efforts in filling the vacancy in a timely fashion. For instance, a landlord may want to start a file that shows the date the vacancy was advertised and then track responses to that ad. It’s a good idea to list unqualified applicants and to be prepared to explain why those applicants failed to qualify. While time is of the essence, it is equally important to find the right replacement tenant; there is no obligation to risk renting to an unqualified applicant. In areas where security deposits are allowed, the landlord still must follow the applicable rules for deductions, accounting and return of the deposit, even where the tenant has broken the lease agreement. For these reasons, it is far safer for a landlord to focus on finding the right tenants then it is to assume that the lease will fix every problem, or protect the landlord from income loss should the tenant decide to leave early. If I leave early and pay the liquid damages fee set forth in the contract: Should I give say 60 days notice of my intent to do this? Or saying nothing, go pay the fee and move out all at once?